Philosophy raises fundamental questions about the world around us and how we should live our lives. Fortunately, a range of popular books now available mean you too can grapple with some of these issues. 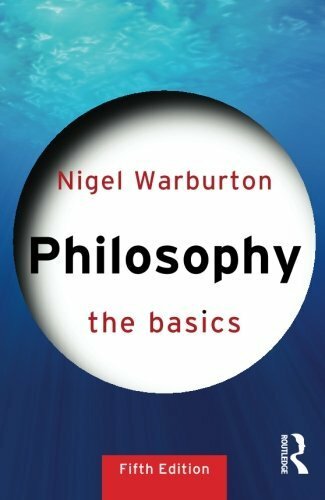 Philosopher and author Nigel Warburton picks his favourite philosophy books of 2016. What’s been going on with philosophy books in 2016? Has it been a good year? Over the last decade there has been a huge growth in popular philosophy. 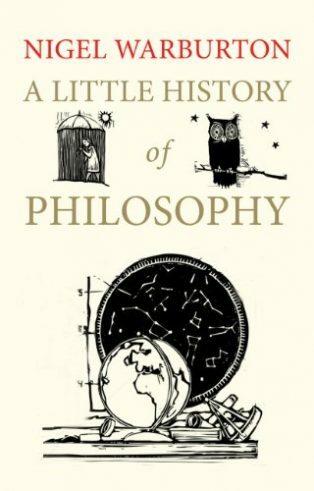 The result is that you’re not just getting general introductions to philosophy, but some significant books that deal with important philosophical questions. They’re written by philosophers, but pitched at a general public, so don’t use highly technical language or too many footnotes. This year has been a good year for this sort of book. Let’s look at what those important philosophical questions might be by talking about the books that you’ve chosen. 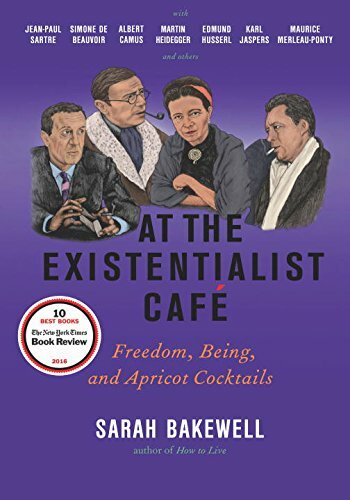 So of the best philosophy books of 2016, the first to make your list is about the philosophy known as ‘existentialism.’ It’s by Sarah Bakewell and it’s called At the Existentialist Café. This is the best philosophy book that I’ve read this year. It is exceptional. Sarah Bakewell wrote a brilliant book about Montaigne, several years ago, which won a number of prizes. I think, in some ways, this book is even better. She explains the philosophy and situates it in the time, but she does this with a very light touch. What she’s managed to do is combine the story of predominantly French existentialism (focusing on Sartre and de Beauvoir as well as Merleau-Ponty) with digressions about Heidegger and others. She’s combined that with some autobiographical elements and a real passion for the subject. She is a very skilful writer, and draws you in through anecdote and small glimpses of the lives of these philosophers, blending it all together in a way that makes it seem very easy. But I know, as a writer, just how difficult that is to pull off, and only a truly exceptional writer could combine that many biographies, that many different, sometimes quite complex, philosophical positions, and still tell a plausible and engaging story. She’s done that, which is quite remarkable. In doing this she is resurrecting Sartre and the existentialism of the 1940s, which, in some ways, is considered passé, particularly in France. The result is empowering for people to read. So I think this is a superb book. Everyone should read it. It’s very readable, isn’t it? It’s quite chatty in tone, which you wouldn’t expect in a book about a very heavy and convoluted philosopher like Martin Heidegger, say. I like the way she describes him always going off into the Black Forest, near where he lives, and arguing that his philosophy is a bit like the paths that go through it. There’s a particular kind of novelistic touch that she has when she observes things. The start of the book is the famous story about Sartre being inspired by the idea that he could philosophise about an apricot cocktail. This was part of the phenomenological movement—as he understood it—coming from Husserl: the idea that part of what it is to do philosophy is to describe accurately your perceptions and experiences, and that will somehow reveal the essence of things. Accurate description is as at the heart of philosophy and you can set aside any question of what exists and big metaphysical questions like that. That idea also inspired some of Sartre’s most brilliant passages in his book, Being and Nothingness. Sarah Bakewell has picked that up quietly and is herself very adept at this sort of description. I should add that Sarah Bakewell has also done an interview on Five Books. For people wanting to understand the basics of existentialism, that might also be quite a useful read. I think that’s the first interview you did for our site, back in 2013. That was a really interesting interview to do. I hadn’t read the book at that point, because she was still writing it, and in a sense, that’s some of the working of the book revealed there. But the book is much more complex than that interview as it weaves together the various elements. In the book, she deals seriously with the dark story of Heidegger’s Nazism, and particularly what’s emerged in his Black Notebooks, which reveal him as even more anti-Semitic and anti-humanistic than we’d imagined. Sarah Bakewell manages to acknowledge that with appropriate disgust, and yet recognise the good qualities that some of Heidegger’s philosophy has, something I find hard to do myself. Sarah started a PhD on Heidegger, so she does know a lot about him, but she wears her scholarship very lightly. I know, because I’ve spoken to her about a number of the figures in this book, that what’s in the book is the surface. The research beneath it goes very, very deep, and she is completely on top of her subject. You said existentialism is a bit passé. Why should it be relevant today? Existentialism puts individual freedom and choice at the heart of what it is to be human. You have to acknowledge your responsibility and recognise that a lot of us are in what Sartre called “bad faith” most of the time — pretending we’re less free than we actually are. So we assume that we have to take on particular social roles, or behave in certain ways, because we’re expected to. So we think of ourselves as in chains. But Sartre says that that is still a choice. This is an interesting position today — partly because it’s very much under threat from neuroscience. The dominant view in neuroscience is that we are far less free than we think we are, at least when it comes to conscious decision-making: the opposite of Sartre’s message. He argued that we are more free than we think we are. Is it a useful way for someone to think about their life? Speaking personally—as Sarah does in her book—it’s a philosophy that has influenced how I live and shaped some of the decisions I’ve made in my life. I was very inspired by reading Sartre’s Existentialism and Humanism when I was 18. Sarah talks about how existentialist writing inspired her, much as she talked about how finding the book of Montaigne’s Essays inspired her when she wrote that book. There’s a sense in which the book exemplifies the power of philosophy to influence people to live in a certain way because she tells you about her life through it. She does it in such a sympathetic way that it is hard not to be drawn in and feel that, yes, philosophy—analytic philosophy as practised in most British, American and Australian universities—is slightly dry and misses the point quite often; whereas existentialism may have been flamboyant and quite technical in its worse forms, but it did ask the big questions. It did focus on the real issues about how we should live, and made individual experience very relevant, and encourage precise reflection on our own conscious experience and what it means, where we sit in the world, and where we are in relation to other people and to our own deaths. So existentialism can’t be faulted for the themes it chooses. It goes to the heart of the human condition, and doesn’t get caught up in games with language or sidetracked by nitpicking. In its worst forms, it can be very technical and austere, and some of its exponents go on a bit; but at its best, it is a sincere attempt to make sense of the world we find ourselves in. I’m very drawn to the atheistic strand of existentialism. It starts from the position that there is no God, and asks what we are to do. How can we make sense of what we find around us? Nothing is closed off by Divine Law, and we see evil all around us. How should we think about that? How should we act? Another aspect of existentialism that Sarah brings out is its commitment to action. It is not a philosophy of simple reflection and description. Most existentialist philosophers were active in the world politically and ethically in various ways and through the way they lived their lives. They tried to live their philosophy, much as the ancient Greek philosophers were trying to live their philosophy. 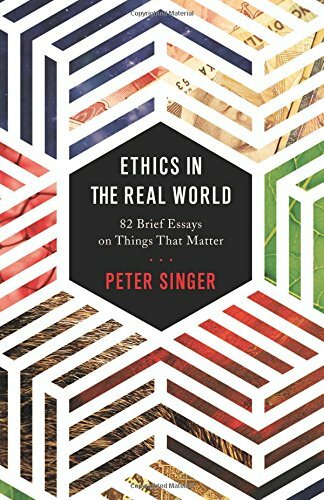 Talking about philosophy as a way to live your life leads us neatly to your next choice, Peter Singer’s book, Ethics in the Real World. This is a collection of articles isn’t it, many of them from his Project Syndicate column, on a host of different issues — from New Year’s resolutions to AIDS in South Africa? My selection of books is quite idiosyncratic. It’s the five best books that I’ve read in philosophy this year — but I’ve excluded more technical, academic monographs because I think it’s appropriate that we should focus on books that a general reader would find interesting. For me, Peter Singer is one of the best stylists alive in philosophy. Very few people realise this. People rarely remark on his writing style, but he is the most lucid of writers. He writes about complex matters very succinctly, very calmly, so that his writing is almost transparent to what he is saying. It is not flamboyant. It is almost invisible. He manages, in these essays, to address really deep questions in just two or three pages — often saying more than other people say in a whole book. He is controversial, of course. He’s a utilitarian thinker: he consistently emphasises that you should measure things by their consequences. He wants to make an impact on the world and has, for example, certain presuppositions about the importance of non-human, animal experience relative to human beings — assumptions that other people may not share. But whether or not you agree with him, it is very difficult to misunderstand him. His writing is so clear, and his arguments are so well expressed, that you can engage with him. For me, he is the ideal kind of philosopher to read because he’s provocative. He’s got strongly held views, which he argues for, and you know what he is arguing for. And if you agree with him, great — you’ve learned something and had it reinforced. But if you disagree, even better, because his writing forces you to think. He’s been doing that in the area of effective altruism particularly: this movement which is aiming to use charitable donations in the most efficient manner possible — identifying pound-for-pound where you can get the most effect for money spent. A number of these essays pick up on that. I don’t completely agree with that approach. But he is very stimulating. He’s thought about just about every counterargument. You need to see what he says and really think it through if you want to hold the opposite position. Do you view him as the greatest living philosopher, as he is sometimes described? But, for me, he is certainly one of the most interesting living philosophers. Partly because he is so consistent. He is prepared to state his views, argue for them and follow through on their consequences. He is prepared to bite the bullet. When challenged, ‘Doesn’t your view lead to the consequence that under some very exceptional circumstances, some kinds of torture could be justified?’—many people would say you can’t go there. But he’ll say that it does follow. It must be so rare that such circumstances exist, but if they did and you knew they existed, then it would follow. Does his controversiality stem from his utilitarianism? Say in the article in this book, about Thabo Mbeki refusing to admit that HIV causes AIDS. He is saying, ‘OK Mbeki killed more people because of this view on HIV/AIDS than the entire apartheid regime did, so how do we compare these two?’ That’s what he is measuring up. Is that the kind of thing a utilitarian does, count up numbers of people killed? There are lots of different forms of utilitarianism. The basic principle is that it focuses on the consequences of actions and not the intentions (though the intentions might have consequences as well — in terms of how other people perceive what you do if you express them, for instance). This is a case of somebody who, without an explicit intention to bring about people’s deaths, through their actions has done so. Utilitarianism, traditionally, looks for a currency that can measure different actions through the probable consequences and plays off those different consequences. Weighing the consequences against each other is the basic benefit of utilitarianism. You can work out the best course of action because it is the one with the best consequences, or most likely to have the best consequences. So, if you take that really seriously, if you had to choose a world without apartheid, or a world without this statement from Mbeki, the world without Mbeki would be better (in terms of lives lost), even if it had apartheid. There might be other negative consequences of apartheid, there certainly were, but just on that factor, a consequentialist approach would lead to that conclusion. Obviously in some situations, the consequences are incredibly important. But the obsession with consequences can seem inhumane in many situations. It’s a kind of straightforward cost-benefit analysis, and when applied to people close to you, it seems incredibly cruel and lacking in compassion. Is compassion not important then? Utilitarians find a value in compassion, but they celebrate a clinical assessment of outcomes above all. I think, in a sense, that is both the strength and weakness of the approach. The strength is that if you’re dispensing scarce resources, you probably want a clinical, distant viewpoint where people work out the best use of those scarce resources. But if you are talking about what you need for those nearest and dearest to you and somebody tells you, ‘the system doesn’t allow that,’ that seems incredibly inhumane, cruel even. It doesn’t seem to recognise the power of close individual ties. I’m not sympathetic to all of Peter Singer’s conclusions, but I always admire his willingness to engage in debate with people who disagree with him. Some people have actually banned him from speaking. Not unreasonably, some disability rights movements have felt that some of the conclusions that he has drawn—about the termination of pregnancies for children known to have severe disabilities—are an attack on disability and protested very strongly. There are people who want to close him down. But he is always willing to argue. He doesn’t try and shut down the other side, he wants to have the debate. You asked me if he is the greatest living philosopher. He is certainly an exemplar of what I take the best kind of philosopher to be, which is somebody who puts forward positions and is prepared to argue for them, and to do that in a public way that allows for other people to disagree and the debate and the conversation to continue. He’s also led an ethical life. As far as we know, even when he was a low-level academic, he gave away a portion of his yearly income to charity, to help the developing world. In one of the articles in this book, he talks about bringing up his children, and states, “We should aim for our children to be good people and lead ethical lives.” That jumped out at me. If you asked most people what they wanted for their children, they would say, ‘Oh, I want them to be happy.’ I’m quite interested that he, as a philosopher interested in ethics, is living the ethical life. It’s definitely true that he wants to live by the principles that he endorses. He also wants other people to do so. There’s an evangelical aspect to his philosophy, and he has many followers. Many thousands of people have been converted to vegetarianism and veganism by his arguments. Many people have also been convinced by his arguments about effective uses of charitable donations. They have led people to give up promising academic careers and go and work in the City in order to generate more income, which they can then distribute charitably. He’s triggered some extremely rich people to make very significant donations to medical research and to medical-based charities. He’s had a big effect on the world. I would be hard-pressed to think of another philosopher who’s made a comparable impact for good in the world. This is debatable, of course, because some economists say that some of the charitable donations are counterproductive. But he’s certainly generated the income, and some of his actions have undoubtedly produced very good outcomes. His critics would say that some of his pronouncements about ethics have also had terrible effects, changing people’s views about infanticide and abortion, particularly. Obviously, Socrates was put to death, so if you are a philosopher and you make statements, you run a risk of getting into trouble. Very few philosophers today, in Britain and America, are at risk for their philosophy. I should say Britain, America and Australia. Peter Singer is an Australian, and Australia has produced a large number of excellent philosophers per capita. People often talk of the Anglo-American tradition. I think they should talk of the Anglo-American-Australian tradition, possibly not in that order. It’s surprising how few philosophers writing today say anything that could ruffle anyone’s feathers to the extent that they would go out and try and kill you. That hasn’t been the case historically, and perhaps this could lead us to the next book. Yes, so next on your list of the best philosophy books of 2016 is The Dream of Enlightenment, by Anthony Gottlieb. This book gives us a glimpse of the world of the early Enlightenment period, when many prominent philosophers risked excommunication, exile, or even execution for their views. These were people who were writing, knowing very well that their views were considered heretical by the church, threatening by monarchs, and possibly even sacrilegious by the general public. Many of them were hounded from country to country. I’m thinking particularly of Rousseau—he wasn’t safe anywhere he went—but there are a number of philosophers in this book whose lives were seriously disrupted by threats from the church and the powers that be. Locke went into a kind of self-imposed exile because of his political writing and associations; Hume was unable to get a job in a university because he was presumed to be an atheist or at least antagonistic to the church; Voltaire was at risk from various people at various times. This was a world when it really was dangerous to think. Kant described the Enlightenment as an age where people dared to think. The word ‘dare’ is important. It wasn’t just that they were being audacious in thinking for themselves, there was a real risk attached to it. To be a philosopher in that period—to be an original philosopher prepared to follow the arguments through like Spinoza did, for example—was an extremely brave thing to do, in the same sense that Socrates’s standing in Athens expressing views which his compatriots thought were heretical, was a brave thing to do, and resulted in his death. Anthony Gottlieb is a former executive editor of the Economist, and, not surprisingly, another very good writer. Writing in philosophy is very, very important because it can be difficult to read about philosophical ideas. Everything the writer does to help the reader is extremely valuable. This book is the sequel to his The Dream of Reason, which takes philosophy from the ancient Greek and Roman period, and then quickly through the medieval period. But either book can be read on its own. Gottlieb talks about philosophers from René Descartes through almost up to Kant. Rousseau is the last philosopher covered in detail in the book. It’s about the 16th to the 18th century basically, which, in many ways, was a second Golden Age for Western philosophy, following on from the flourishing in Athens of Plato and Aristotle and, before them, Socrates. Quite intriguing that a book about such a well-covered period, the Enlightenment, should make your best philosophy books of 2016 list. I don’t know of a better survey of this period. What Gottlieb manages to do is to bring in just enough about the lives and background history to stimulate your understanding of the philosophy, and just enough of the philosophy not to get too technical or obscure. Again, it’s a book that required a very light touch to pull off in such a successful way. That’s probably invisible to somebody who hasn’t tried to do the same sort of thing. I’ve tried to write a history of philosophy: It is not as easy as it looks. There is also an original aspect to the book. There are some things I learned from it that I didn’t know. Take Spinoza, who was famously cursed by a herem—the Jewish equivalent of excommunication—because of his heretical views, which some took to be atheistic. He talked about ‘God or Nature:’ nature is God, effectively – not an orthodox view. It is commonly assumed that post-excommunication Spinoza lived from his earnings as a lens grinder. There’s a romantic idea of him in his room, grinding these lenses for early telescopes. Apparently that’s not quite right. Gottlieb draws on research that shows that that wasn’t his main source of income, though he did indeed grind lenses. A more important and unusual aspect of the book is that he’s devoted a whole chapter to Pierre Bayle, who doesn’t usually feature so prominently in these historical accounts. Gottlieb makes a good case for Bayle as a very interesting contributor to the Enlightenment, particularly in his advocacy of freedom of expression and toleration of other people’s ideas, the kind of thought that Voltaire is famous for. Is a big aspect of the philosophy of this time, then, the atheism: basically all these philosophers are pushing back on religion and heading towards atheism? Not all of them are doing that explicitly. For instance, Descartes was, as far as we can tell, a devout Catholic. Leibniz, I think, was also religious. Rousseau was probably a deist. Deism was quite a common position for heretical thinkers. This is the idea that there isn’t a personal god, but there was a God who created the world, and there is evidence of God in the world. Rather than atheism, I think there is often a resistance to truth by authority. That’s one of the characteristics, I think, of the so-called Enlightenment. People were starting to get important empirical evidence from science; they were starting to reason about different societies and would get evidence from travellers’ accounts. The world didn’t have to be as it was described by religious authorities. So philosophers who were prepared to reason and argue and think about the nature of reality often came into conflict with the church, and some of them, like Voltaire, were particular antagonists of the church. Some scholars have argued that David Hume was definitely an atheist, but, from his writings, there’s still a case to say that he wasn’t quite an atheist as we would understand it. He was somebody who didn’t think he knew the answer and didn’t think that the people who thought they knew the answer knew the answer either, but who also believed there’s more and better evidence that God doesn’t exist than that he does, and who disliked the influence of the church. Personally, I think Hume was an atheist by the end of his life. The majority of thinkers in this book, though, probably weren’t out-and-out atheists. That was quite a rare position to adopt in the 18th century. I’m intrigued by the subject of you next book, Anger and Forgiveness. This is by the American philosopher, Martha Nussbaum. Why do you like this book? This is a really interesting book. Martha Nussbaum began as a classical philosopher and has immersed herself in ancient philosophy. She has read very widely in literature. She is politically engaged and she travels widely – often to India. She has a huge range of experience and understanding through life and books that she brings into this book. Lurking behind it is Seneca: the Roman philosopher who talked about anger being a useless emotion. What Nussbaum argues in the book is that there is something confused about what we think we will get from our emotion of anger. We feel anger, anger is often used in political contexts, and anger is often praised: we feel that we should feel angry about how people have been treated, the injustice. 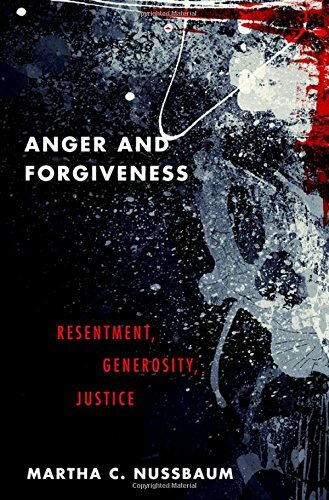 She argues that we should get beyond anger, and the associated desire for payback, and that it usually exacerbates the evil in a situation rather than removing it. It is often more about getting a good feeling from expressing the anger than it is about bringing about beneficial results of the kind that we claim to want to bring about. It’s a great idea, but how does she set about proving that? Think about what happened after apartheid in South Africa. You might have expected a situation where there were reprisals, a justifiable humiliation of the people who’d committed torture and murder, and harassed people. This retributive approach would have come very naturally to most people. The world almost expected payback. Instead, we had Nelson Mandela’s Truth and Reconciliation Commission. The choice of a civilised, not straightforwardly forgiving but transparent process of coming to terms with what had happened was, in most people’s eyes, a better solution. Martha Nussbaum is making the case for a new Stoicism in society. Stoicism famously involved control of the emotions and not giving in to irrational passions when they could not bring about any benefit. In society, we should hold back on anger, hold back on something which comes very easily to most of us. We will produce a better world by looking for other solutions. What about justice, though? If we give up the anger, then there’s no justice. There isn’t justice in the sense of an eye for an eye, but there’s a question whether that is the best view of justice. Justice is a human invention. It’s not a natural given that if somebody harms you, you have to harm them back in proportion to the harm that they brought about. True, many of us are predisposed to behave that way, but we can resist that temptation. What Martha Nussbaum is inviting us to do is to step back from that and ask, does it actually bring about a better situation, than some alternative, more restorative approaches to wrongdoing? Ultimately the message of the book is that love is better than hate. The book is stimulating a debate about how we should respond to wrongdoing. It’s an important book, it’s beautifully written and it draws on a wide range of sources, but it is not the final word on the issue. It’s somebody putting forward an interesting position, defending it, arguing for it, believing in it sincerely. That opens up a conversation that we wouldn’t otherwise have had. That, for me, is the great value of philosophy: that it allows and encourages people to think. It doesn’t simply present a pre-packaged view that you have to learn. Anger is such an important issue. Everyone has felt it in their personal, day-to-day life, and in their relationships. Now, in the age of the internet, we also see it online — the rage and angry comments. We see it in politics. It is something that we’re confronted with every day in some shape or form. But it’s not something that one normally thinks about philosophically. Not being a philosopher, I can safely say that it would never have occurred to me to think about anger philosophically. What’s nice about the way Martha Nussbaum does it is that she can draw on some of the great philosophy of the past. She knows the classic texts very well and has read them in Latin and Greek. These topics were much discussed in ancient philosophy. So there’s a really interesting way it can feed back into the present debate. Philosophy can be very good at renewing its past and making it relevant to today, and that’s true of my final book choice as well. 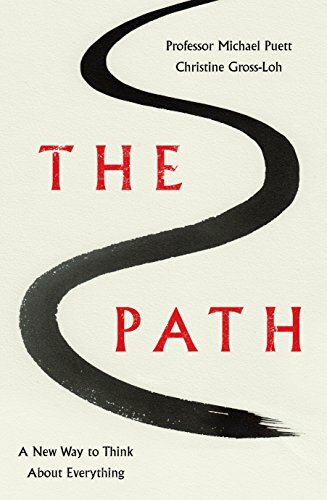 Which is The Path: What Chinese Philosophers Can Teach Us About the Good Life. It has two different subtitles, actually, in England and America. The alternative is A New Way to Think About Everything. Anyway. Whether I’m learning about the good life or thinking about everything: Why is this on your list of the best philosophy books of 2016? Within academic philosophy departments there is a conventional cannon that goes from the pre-Socratics through to contemporary philosophy and largely excludes eastern philosophy. That’s dismissed as either religion or homespun wisdom. That’s the caricature — but there is an element of that, certainly in the degree that I studied and that many people study. And there is an argument for that, because there is a causal influence from Plato through medieval philosophers to the present. It’s a particular story in which Confucius and Mencius and various other Chinese philosophers don’t have much input. There’s a debate about whether, possibly, some Buddhist philosophy could have come in through Schopenhauer and perhaps earlier, even, in Hume’s writings about the self. But, generally, eastern philosophy hasn’t had a huge impact on that particular story, though Arabic translators and philosophers were responsible for preserving some key Greek philosophy. And, yet, there are a number of very rich traditions in eastern philosophy, and most western philosophers are quite ignorant about those, as, I confess, am I. They may have read some Confucian writing, but they have very little sense of what the best of Chinese philosophy might be like. The Path is very interesting because it’s written for a popular audience. It’s a very easy read, but it makes Chinese philosophy quite fresh. It’s written by a Harvard academic, who put on a course in Chinese philosophy that was incredibly popular with students. So he’s worked out ways to draw people into the subject. The big focus is on how you should live. That is the basic question in philosophy, the question Socrates was asking. It is not a trivial question, nor an easy one to answer. What he does in the book is run through a number of answers given by Chinese philosophers in a way that makes them seem, to me at least, part of the same activity as the greats of western philosophy. He talks, in particular, about the philosopher Mencius, who was working in a Confucian tradition. Mencius made some important points about the cultivation of virtue, starting with the family and how important it was to recognise your place within the family before you try to extend the circle wider and include other people. So Chinese philosophers are addressing the kinds of questions that Peter Singer addresses, for example, about how much care we should give to people beyond our nearest circle. But they do it in very interesting ways. This is not the last word. I’m not in a position to judge it as a work of scholarship on Chinese philosophy, but one thing it does is make you want to read further in Chinese philosophy. 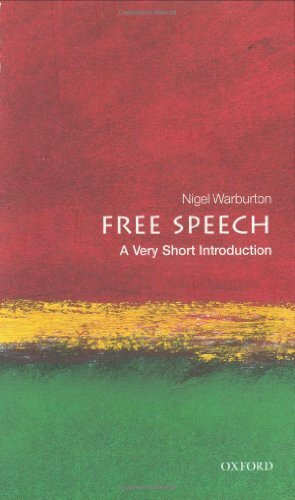 That’s another thing that a good introductory book should do. It shouldn’t leave you satisfied, it should leave you dissatisfied, feeling there’s something else you want to find out, something else you want to learn. So one book leads to another, and this book certainly leads to other books. You were a bit nervous about including The Path among your best philosophy books of 2016 because you thought it was a bit self-helpy. I know this is something you feel strongly about, that philosophy is not self-help. Can you explain? There are some popular philosophy writers around at the moment whose books could just as easily sit in the self-help sections of bookshops as under philosophy. Some have their source in Roman philosophy, which put a big emphasis on studying philosophy to improve how you live. 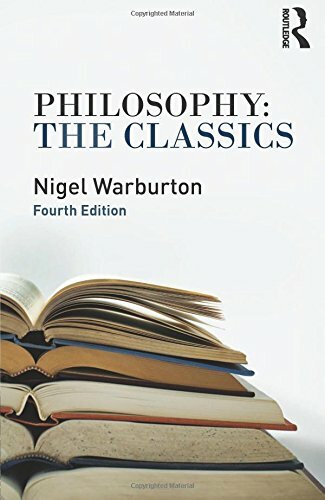 The problem with that for me is not so much that people are writing these books, but rather that they give the impression that this is what philosophy essentially is – a set of psychological techniques gleaned from great thinkers of the past that will make things go better for individuals. In contrast, I see philosophy as enquiry: you can’t prejudge the outcome. 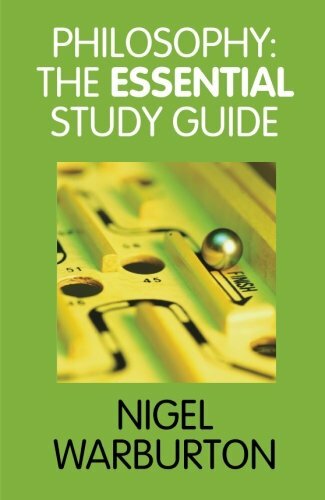 It is an on-going enquiry into the way things are, and how best to cope with them; but you can’t know in advance that following that enquiry—thinking about the nature of reality, the limits of your knowledge and how best to live—will actually improve your life or make you happier than you would otherwise have been. It might make things worse. You might get a glimpse of the abyss and find life unbearable. Perhaps it would’ve been better not to spend so much time reading philosophy books. Perhaps it would have been better not to recognise that there are no pre-existing values that shape our lives and no easy solutions to questions about how we should live. Perhaps we would lead happier, more fulfilled lives if we just followed some simple ‘divine’ rules about how to behave, even if these are entirely human fabrications. Philosophy might take you way away from happy ignorance. Some people who study philosophy are led away from religious faith, and from confidence in traditional ways of living; they’re taken away from certainties about how we should live. So it seems to me presumptuous to say that studying philosophy will make your life go better, or even that it might be, at heart, a form of self-help. It could be self-destructive. It could be disruptive. There are cases of people who have studied philosophy in depth and with great seriousness who’ve broken down as a result of it. It’s the kind of subject that, if approached sincerely, leaves you fundamentally ill at ease at a certain level, because most of the things you take for granted are questioned, and there may not be any certainties to put back in their place. There can be some consolation in knowing that you have tried hard to understand what’s really going on, of course, but success in understanding is not guaranteed as human intellect is very limited. Socrates made clear that his strength lay in knowing how little he knew, not in how much – that’s were his wisdom lay. There’s an important message there. Philosophy aims to give a clearer picture of how things are, and how we might live better. It may or may not achieve those things. It’s an on-going conversation aiming to reduce our ignorance, a subject with a 2,500 year history. It is not a subject of neat little answers that will, if applied to your love life, bring amazing outcomes. If that’s what you want, I recommend studying empirically-tested psychology. Philosophy is still a wonderful subject, don’t get me wrong. I don’t want to put anyone off exploring it. But we should recognise it for what it is.